Get the best performance from your vehicle! With one easy swipe, you can gain safety, easy monitoring, power control and performance boost for your vehicle with the Edge Insight CTS2! 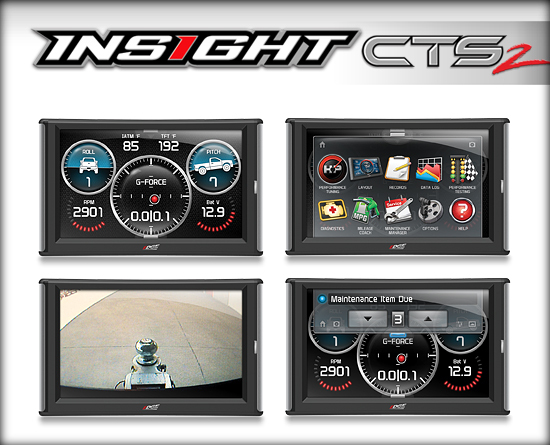 The Edge Insight CTS2's available five different custom gauge screens make this the perfect tool for taking total control of your vehicle. View what you want, when you want, and how you want at any time. With the simplicity of a digital HDMI plug in monitor, you can control the full range of your vehicle's performance. The built-in digital gauge display scan tool captures and records information such as diagnostic trouble codes, peak speeds, RPMS, horsepower & torque levels and performance times. Using Edge’s state-of-the-art technology, you can observe your parameters with unmatched monitoring capability on any OBD II vehicle (1996 or newer). Taking cue from the latest smart phones, Edge’s engineers have developed a notification center for alerts accessible with one swipe. The Insight an instantaneous and inexpensive alternative to bulky, analog gauges that would otherwise cost hundreds of dollars and take hours to install. 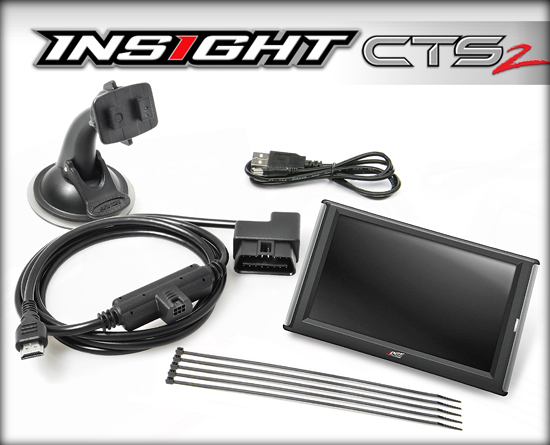 If you are looking for a low effort/high gains addition to your truck, the Edge Insight CTS2 is it. This is the perfect performance addition to any vehicle. For those who want to monitor performance and prefer not to program their vehicle or for those who already have significant performance upgrades and want to safely monitor their vehicle's performance. Check out the CTS2 in action! 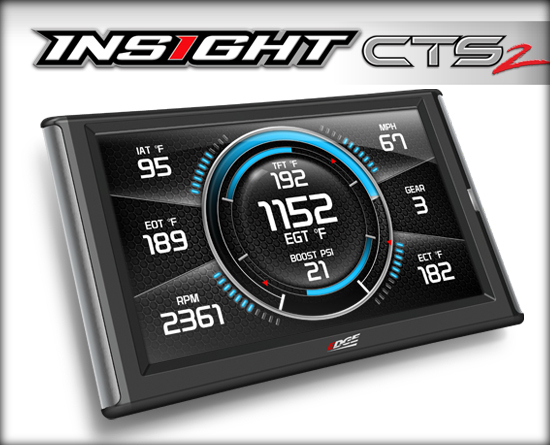 If you are ready to take control of your vehicle, get some serious horsepower gains and better fuel economy, click here get your EDGE Insight CTS2 today!